Do you love Chicka Chicka Boom Boom by Bill Martin Jr. and John Archambault? So do we! This beloved read aloud is a favorite for teaching the alphabet in the younger grades. 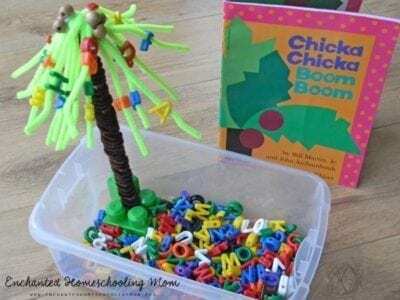 That’s why we rounded up the best Chicka Chicka Boom Boom activities to keep you dancing all the way to the coconut tree. 1. 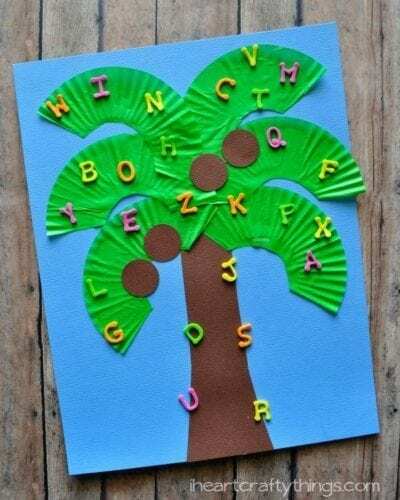 Create your own coconut tree. 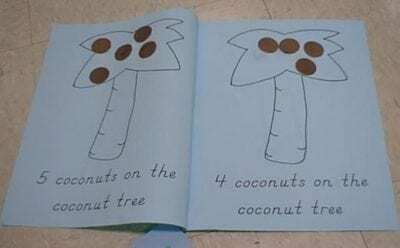 Let your students create their own coconut tree. You’ll need construction paper, tempera paint, and alphabet stickers. Bonus: If you find upper- and lowercase letter stickers, your students can act out the story as they assemble their craft. 2. Let the letters of your name climb up the coconut tree. 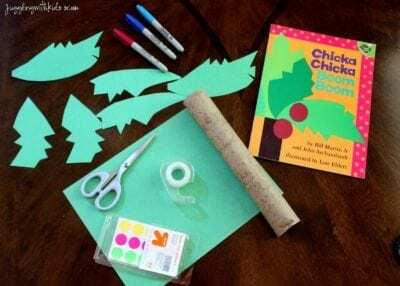 This craft is easy enough for students who are just learning scissors skills. To make the palm leaves, have each student cut out a circle and then cut the circles in half. They can create “fringe” by making vertical snips in the paper. You can use foam sticker letters or cut-out construction paper letters. 3. Liven up story time with this flannel board. 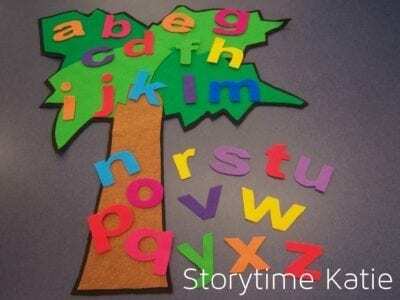 These felt boards are a fun way for students to interact with Chicka Chicka Boom Boom. Turn on the music and let the students act out the story while the song narrates the action. 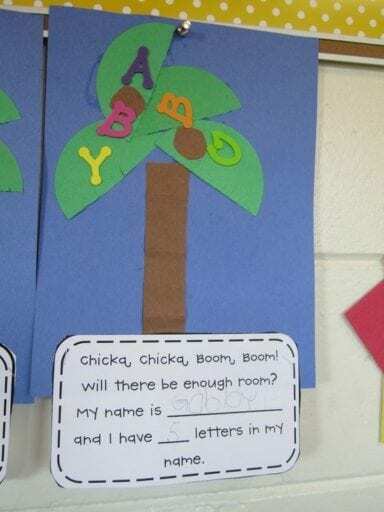 These Chicka Chicka Boom Boom-inspired worksheets will get your students counting. Grab this free printable PDF and let your students get to work. Use construction paper circles as the coconuts. You can also have students color each page and decorate them with alphabet stickers. 5. Learn to match uppercase and lowercase letters. One of the great teaching components of Chicka Chicka Boom Boom is the introduction of both uppercase letters and lowercase letters. This art project doubles as a matching game for younger students who are still learning the difference between the “mama and papa” letters and the “baby” letters. 6. Let your students have fun with this sensory bin. Sensory bins are a great addition to any classroom, and this bin is no exception. 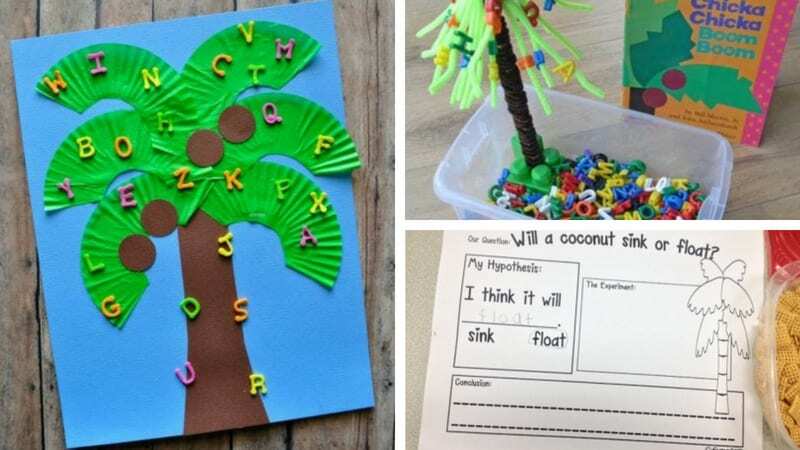 With brown circle beads as the coconuts and alphabet beads as the alphabet, students can create a 3-D model of the coconut tree. Who’s hungry enough to eat a whole coconut tree? Students will enjoy this activity as it combines story time with snack time. 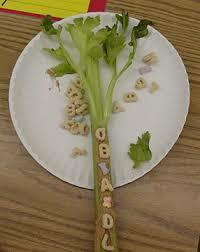 The celery stalks double as the coconut tree, and Alpha-Bits cereal is the star of the show. Note: If you are a nut-free classroom, you can swap out the peanut butter for sunflower butter or cookie butter. Students will have fun matching these cards. 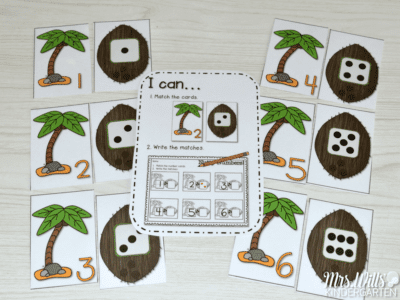 One card has a numeral while the other card displays a coconut with a die face. Students can play independently, or two students can play together. 9. Hit the bowling lanes with coconut bowling. Get up and moving with this Chicka Chicka Boom Boom-inspired game. Water bottles stand in for the bowling pins, and a coconut stands in for the bowling ball. Tip: Glue alphabet letters on the “pins” to tie in the bruised and skinned-knee element of the story. A coconut bowling ball sure would rough up those baby letters! 10. Explore the science of coconuts. 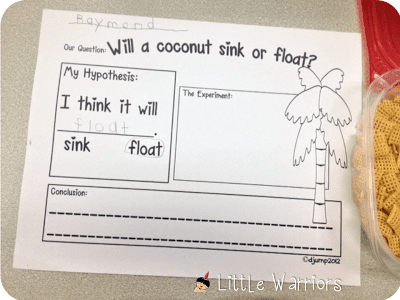 Do coconuts sink or float? This project introduces the idea of hypothesis, experiments, and conclusions. 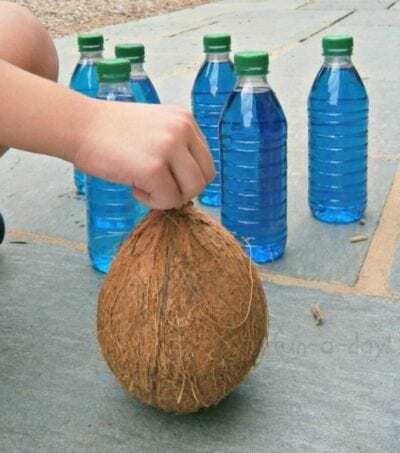 Have your students fill out these worksheets before testing a few coconuts in a big container of water. 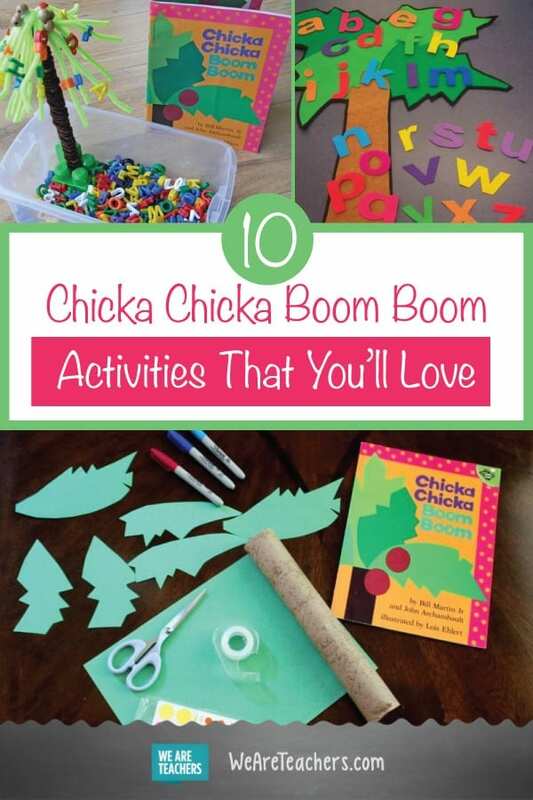 What are your favorite Chicka Chicka Boom Boom activities? Come share in our WeAreTeachers HELPLINE group on Facebook. Plus, our favorite ideas for teaching with The Very Hungry Caterpillar. Is It Time to Pivot in Your Teaching Job?